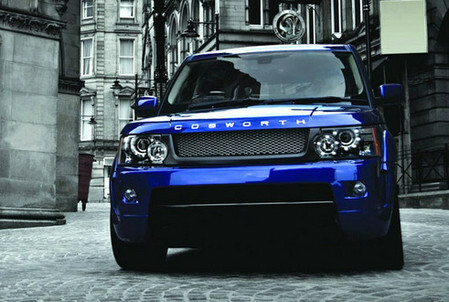 Project Kahn has partnered with British engineering firm Cosworth to create a unique upgrade kit for the new Range Rover Sport. The car is based on the TDV6 diesel model which has been upgraded by Cosworth engineers to deliver more power while its fuel economy remains the same as standard. The body of the car is done by Kahn and has the same traditional cues we’ve seen before. You get a new mesh front grille, modified bumpers, new rear apron, and side sills garnished with stainless steel bars. The new Bali Blue paint job is stunning though. The cabin too has been enhanced with lots of fine leather and other luxurious stuff, but you do also get Cosworth logo and a numbered plaque signed by Cossie chief engineer!